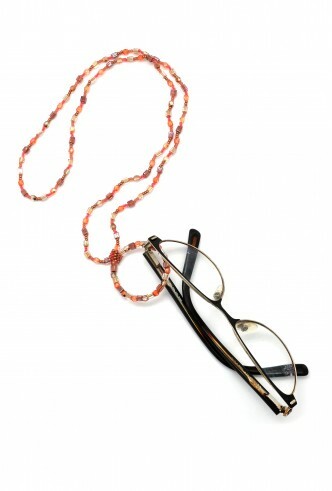 Designed to catch your reading glasses when you're not using them. Doubles as a necklace. Length 25", hoop diameter 1-1/2"